Synopsis, Our Opinion: Amazing fruity dessert wine. Producer/Winery: Vincent Cantié and Christine Campadieu; Domaine la Tour Vieille; Collioure, France. Grape Variety: Grenache blend – 80% Black Grenache, 15% Grey Grenache and 5% Carignan. 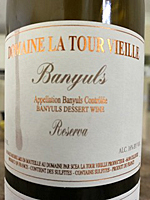 Geographic Appellation,, Region, Country: Banyuls; Languedoc-Roussillon, France. Paired With: Aebleskiver flavored with cardamon and enhanced with honey. Opened two hours before drinking with a very slight chill on the bottle. Cloudy, brownish ruby color with a slight purple tint and lighter rim. Rich caramel, plum, raisins and sweet spicy aromas. 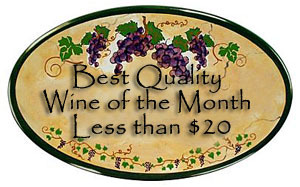 Rich, zesty, sweet & creamy mouthfeel, medium-full body and a 200-grit texture. 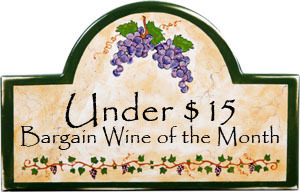 Powerful plum, apricot, orange and prune fruit flavors along with plenty of caramel and vanilla. Edgy acidity and smooth fine-grain tannins that come alive in the long spicy plum tasting finish. Resembling Tawny Port, but with layers of fruit tastes and a very engaging finish. Fantastic paired with the Aebleskiver or sipping without food after dinner. Amazing fruity dessert wine. Photo from Domaine la Tour Vieille. 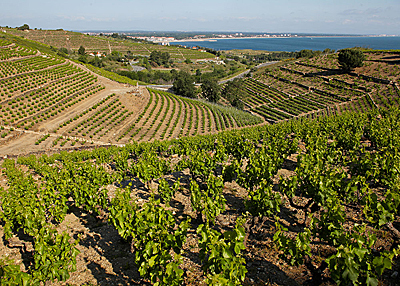 Comments: Learn more about Domaine la Tour Vieille and their wines.